This item is an image. It was created by an unknown creator on or around the date published: 1943. Poster produced during the Second World War. Colour illustration of men hauling in a large container of fish. 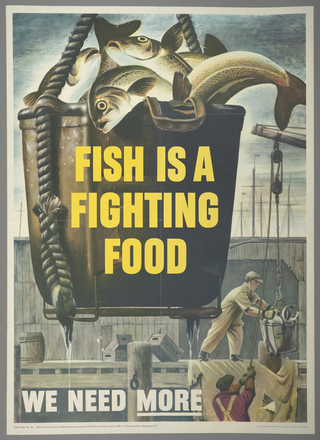 Text reads "Fish is a fighting food. We need more".